FONDA — Montgomery County employees donated $608 to the American Heart Association this month after holding a Jeans Day and participating in the National Wear Red Day Campaign. During the National Wear Red Day Campaign, which takes place annually Feb. 2, the public is encouraged to wear red as a symbol of their support of women’s heart health. The Public Health Department initiated holding the Jeans Day in an effort to raise heart health awareness. 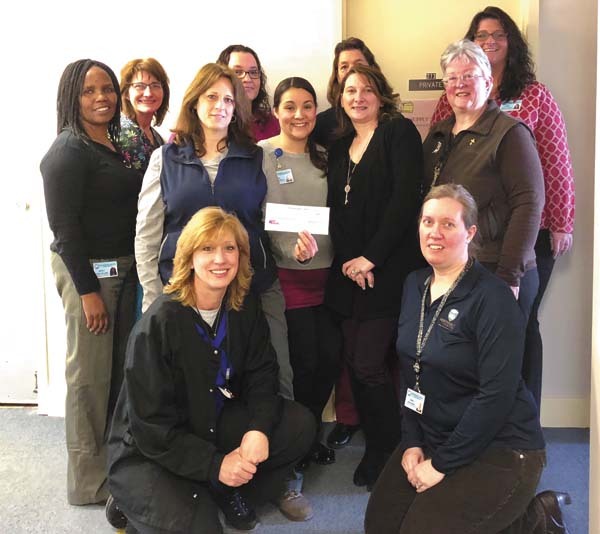 “The heart of Montgomery County is the employees who work to ensure services; health, wellness and safety are of highest standards,” Department of Public/Mental Health Director Sara Boerenko said. “I am thankful to the staff, employees and our County residents who see the importance of taking care of each other not only one day a year, but each and every day while bringing the topic of heart health to the forefront,” Boerenko said.